Accelerating regional growth and prosperity by helping regional businesses better understand, embrace and capitalise on innovation. 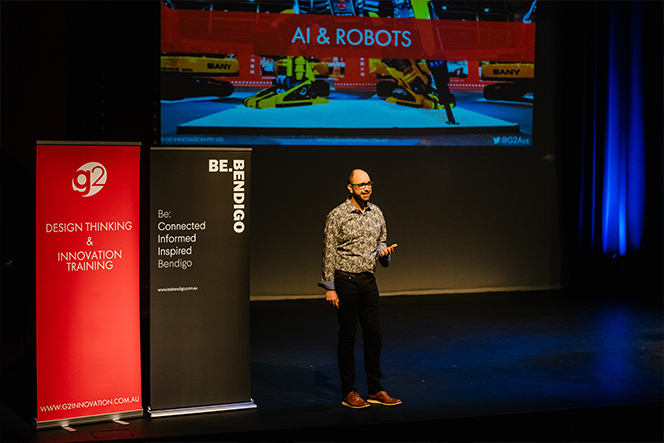 The Be.Bendigo Invention + Innovation Festival (BIIF) is a week-long series of events that promote innovative ways of thinking and doing business, while challenging the dialogue around the future of regional Australia. 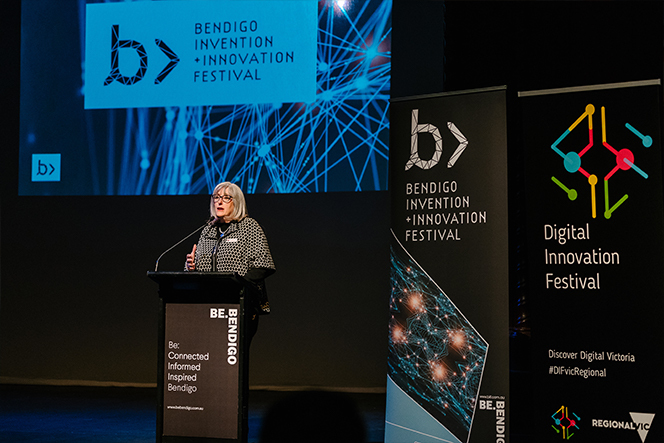 The festival grew out of the Bendigo Inventor Awards which is still a highlight event of the festival. It was created to showcase regional entrepreneurs, help build a community around innovation and technology in regional areas, and connect regional business owners to national and global thought leaders in innovation, entrepreneurship and future tech. BIIF is an initiative of Be.Bendigo and directly supports its purpose of ‘supporting Greater Bendigo businesses to be prosperous, sustainable and innovative’. It is also a key event of the Victoria-wide Digital Innovation Festival. executives + entrepreneurs // inventors + innovators // tech-heads + disruptors // education providers + students // government sector representatives + business councils // small business + co-working spaces // founders + startups. Sharing a room with like-minded people is the surest way to spark new ideas and rekindle that enthusiasm and inspiration for innovation. While data is great, there’s still no better way to gain valuable insight than to see and hear it in person; sometimes we learn something different than the data would suggest. BIIF is the premier future-shaping conference for regional Australia for anyone who cares about creativity, innovation, growth and change. The event will transform your thinking, unlock the ideas and imagination of your people, and inspire excellence in innovation. The result is an expanded creative understanding and broader worldview. Uncertainty, volatility and the exponential acceleration of technologies are some of the greatest commercial threats businesses are currently facing. The changes driven by digital technology don’t discriminate. Virtually every business and institution faces competitive threats from new, nimble competitors not hampered by past practice or thinking. Yet, once understood, the threat of disruptive change from outside can be turned to a huge competitive advantage with the opportunities that flow from that understanding. BIIF will provide the tools and strategies to develop a leadership mindset to transform you and your organisation. 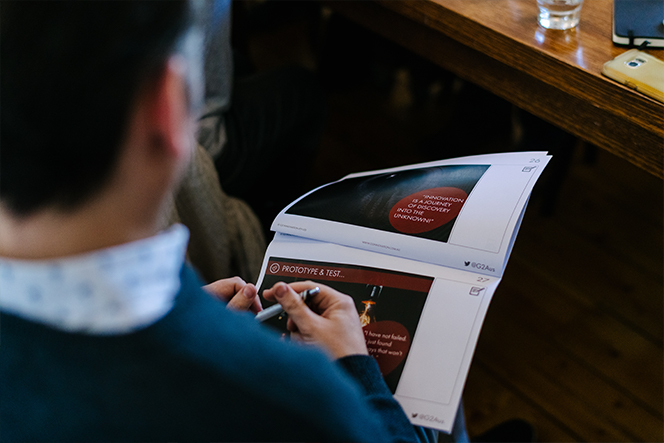 Bringing together an interactive community to learn techniques and strategies, contemplate future scenarios, collaborate across sectors and gain empowering experiences, BIIF will offer authoritative forecasts, strategies and practices to help transform you and your organisational leadership. BIIF will help you deal with disruption and stimulate greater creative thinking and innovative behaviours and cultures, inspiring your leadership to achieve greater success. “Exploration is the engine that drives innovation. Innovation drives economic growth. So let’s all go exploring." "Hands down, best event to connect the local entrepreneur ecosystem that has ever happened in Bendigo." 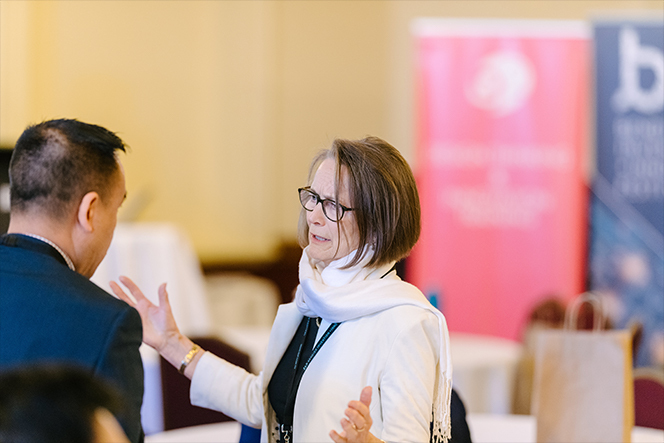 "It was great for Bendigo and a terrific opportunity to engage with businesses that are currently or looking to take a future-focussed approach in their business." "The diverse speakers from industry, startup ecosystem, government , single business owners and government was fairly unique. I think this cross pollination is a strength of a regional event because there aren't so many events, so the attendance is broader." 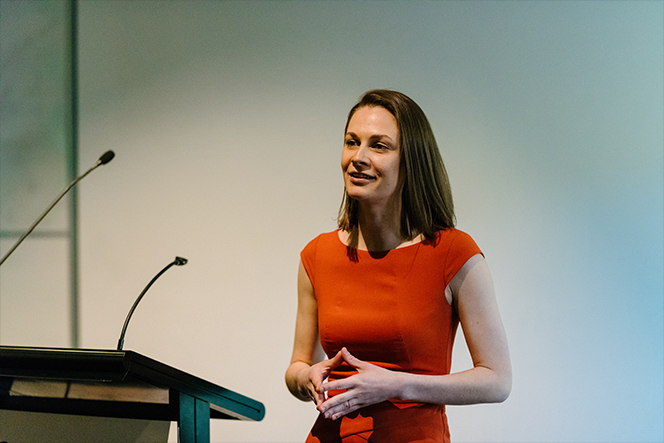 "It was informative and certainly something regional Victoria needs to continue to do to show what we can do to take advantage of our innovative culture." "The festival provided a high calibre of information and presenters that would be valuable for business." "Interesting speakers and thought provoking presentations." "Excellent variety of presenters and topics." "Highly relevant content and excellent presenters." "Quality presentations and panel discussions. Terrific breadth on offer. Super value for a day spent at the symposium."